Prof. Marc Van de Velde, Belgium. 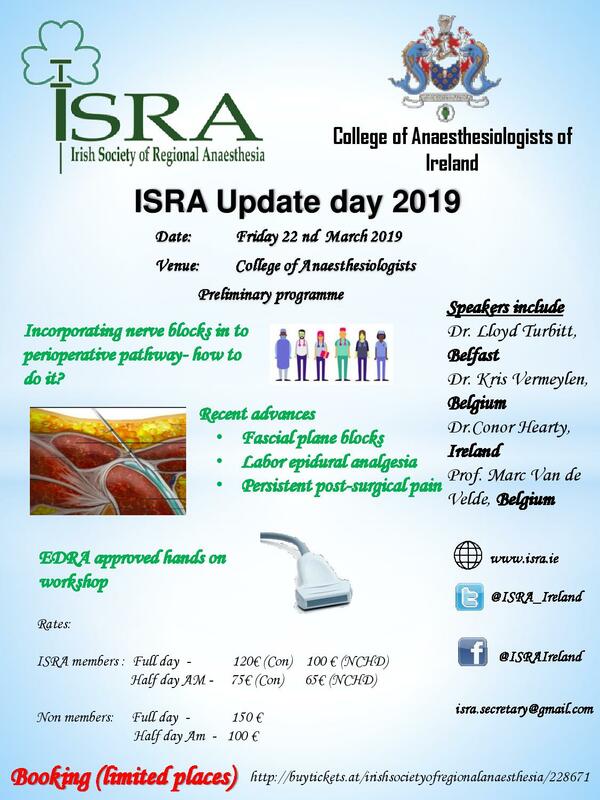 Features include incorporating nerve blocks in to perioperative pathways, information on recent advances in fascial plane blocks, labour epidural analgesia and persistent post-surgical pain and of course an EDRA approved hands on workshop. There are limited places available so book early.